In our struggle to stay fit and healthy, technology is something that has always played an important role. Whether it’s high-quality medicinal equipments or some 99-cent app, health is heavily influenced by technology these days. 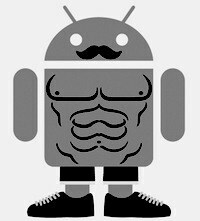 On mobile devices too, developers are coming up with innovative new apps that help users stay fit or at least motivate them to do so. 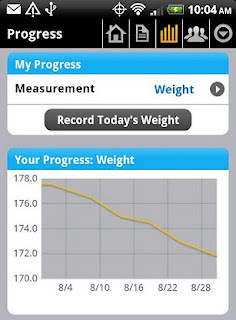 Also worth trying are apps that monitor health and provide accurate information about our health. These apps are aplenty on both iOS as well as Android, and can be used with or without other health-monitoring accessories. So, if you’re willing to kick off all the holiday pounds you have gained this season, read on as we cover the best health and fitness apps for Android. One of the most popular Android apps in the marketplace, Endomondo uses your phone’s GPS to track your training activities. This means that whenever you go for a run, or a walk, Endomondo will track your distance, speed, and calculate the amount of calories you burned during that activity. You can then brag about your achievements on social media by sharing your workouts on Facebook and Twitter. Though you can use the app without an Endomondo account, I’d highly recommend creating one as it uploads all your workout data to your account on the web. 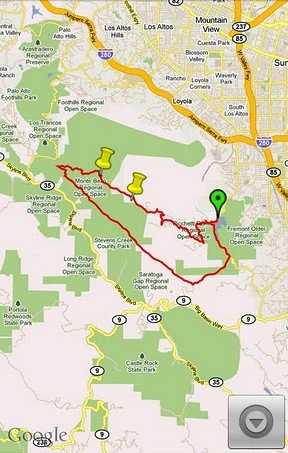 Using the web version you can later review your activities and track your progress. -Worth a try for every fitness freak. Trying to lose weight? Well, then this is the app that will help you in your struggle. Calorie Counter allows you to keep a daily diary of all the foods you eat. Say you ate eggs for lunch; then, simply enter eggs in the search bar, and that food will automatically get added to your daily diary. Thus, throughout the day if you enter everything you eat, you’ll get a better idea about how many calories you’re consuming each day. Another great thing about this app is that it allows you to enter your weight-loss goals. 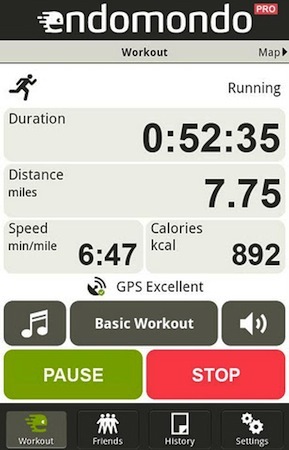 Then, according to your goals, the app recommends you how much calories you should be consuming to achieve that target. The same works for people who’re trying to gain weight. The app, even though requires you to create an account, can also be used as a simple calorie tracker without the need of signing up. Overall, Calorie Counter is a handy tool that helps you lose weight in a planned and systematic manner. 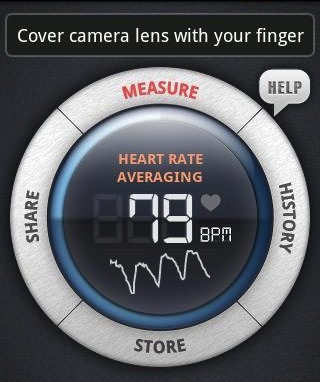 This is an app that lets you monitor your heart rate using your phone’s camera. The way this app works is quite simple: you place your index finger on the back camera, the app the tracks color changes on your finger tips -- which, in turn, are related to your heartbeat – and gives you an accurate reading of your heart rate. Even though it is not a substitute for medical care, the app can be helpful for those who’re into a habit of constantly checking their heart rate. 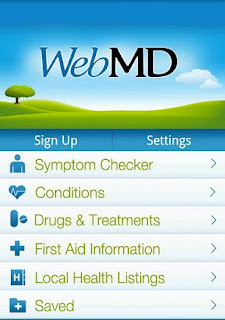 This app brings all the functionality of the popular WebMD site to your Android device. The app, which lets you check symptoms, view drug information, and self-educate on first-aid, can be quite useful for medical students, doctors, and hypochondriacs. Though can be useful for diagnosis, we do not recommend using it as a substitute for medical care. Unlike Endomondo, which is a dedicated fitness app, MyTracks from Google does just one thing, and that is recording your GPS tracks. Whenever you go for a walk or run, just fire up MyTracks and it will start recording (depending on GPS availability) every step you take. When you’re finished, you can see important statistics like time, speed, distance, and elevation. Then, if you want, you can share your stats online using Google MyMaps, Twitter, Facebook, or Google Docs. 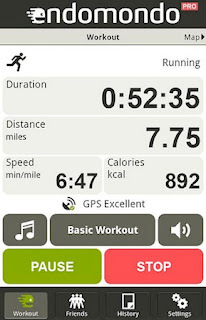 Overall, a great free and trusted alternative to other sports tracking apps like Endomondo. 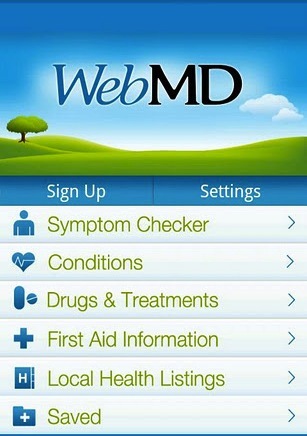 Note: The apps are not a substitute for professional medical help. To be on the safer side, it’s always better to check with your physician before taking up a new workout regime. I use MedDose- medication reminder. it’s for free. Nice app. Reminders work great. I use it daily. You can find it on android market.